You are here: Home / Blog / Frontpage Article / Welcome to St. Thomas’ Craft Group! Welcome to St. Thomas’ Craft Group! 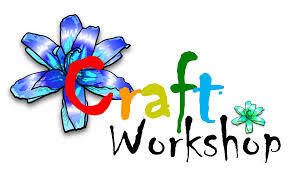 Join us for our first St. Thomas Craft Group on Saturday, January 19th! 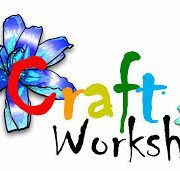 We will gather in the library from 2:00 – 4:00 p.m., so bring your knitting or other supplies and tools and enjoy a couple of hours of crafts and conversation! If you would like to learn how to knit, one of our parishioners will be available to show you the basics and help you make a small dish cloth. Bring a ball of medium-weight cotton yarn in your favorite color (Lily Sugar’n Cream is a widely available brand) and a pair of knitting needles in size 7 or 8 (straight, bamboo needles are the most beginner-friendly). http://st-thomaseugene.net/wp-content/uploads/2019/01/Crafts-4.jpg 171 294 Lindy Moore http://st-thomaseugene.net/wp-content/uploads/2017/12/logo.png Lindy Moore2019-01-16 04:06:122019-01-16 04:21:19Welcome to St. Thomas' Craft Group!